Yet another project we did for a large group of companies. 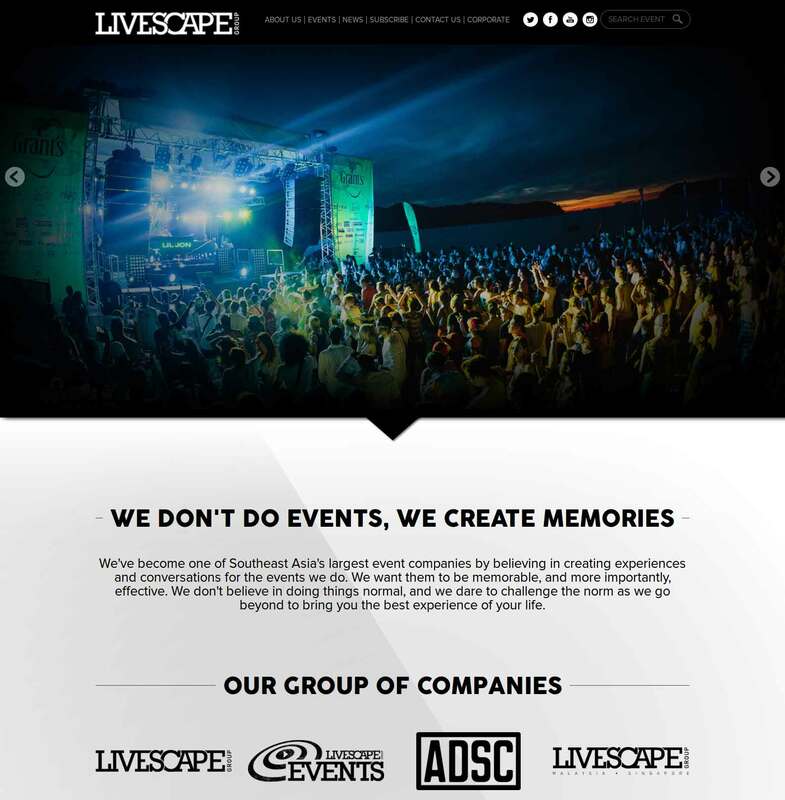 A website was to be built for an event management company engaged in organizing and promoting a variety of events. The design of this project was one of paramount importance, as it had to reflect the ultra modern persona the company associates with itself and its audience. A solid content management system built using WordPress enables our client to manage the events he displays all across his website. Custom Design - It was the design team whose skills were put to test in this project. The design had not only to be attractive to users but also portray the company's success in the events. Images, colors and other design patterns were very creatively used to design the website. 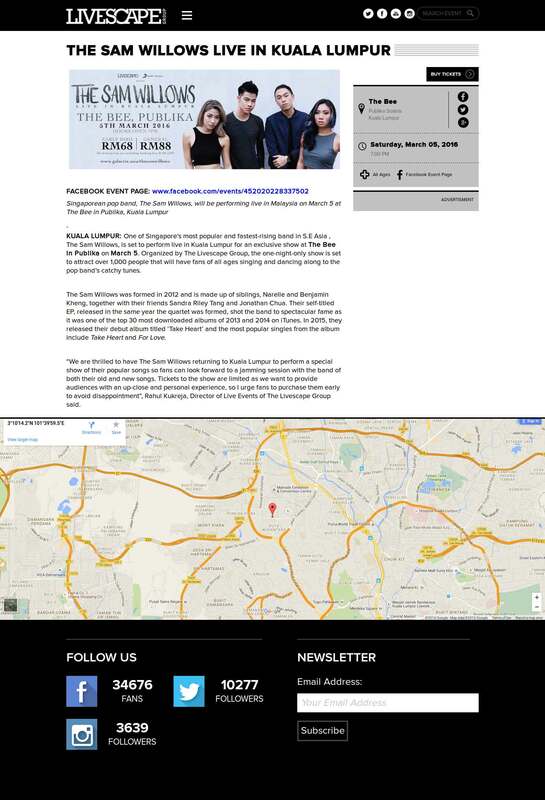 It was made sure that the website was made equally attractive on the mobile screens as well. Events - Events were the main part of the website as these were to attract the users visiting. The events page was carefully planned and each event was listed under relevant heads like Upcoming events, Latest events, Relive the memories, etc. so that the visitors can easily lookup for the event they are interested in. 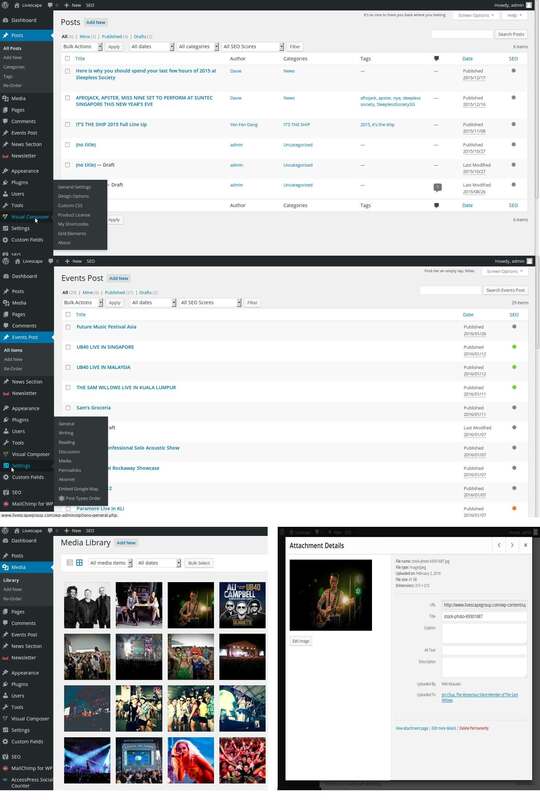 Event search functionality was also included on the website for the visitors to search for their favourite bands performing, or any events being conducted at locations. Features - To make sure the visitors can reach to the event location with ease, Google Maps were included depicting the event location and enabling the users to find their way. Many social media networks like Facebook, Twitter, Instagram were included in the website for the events and the company page so that the users can easily get to know of latest events and other happening news from the company. Content Management - There was a need for the owners to manage fair amount of data which was present in the form of events, locations, Bands performing, etc. For easy management of the data and to prevent the owners from any mess, WordPress was used for the content management purposes.